"If you want to meet and date genuine Catholic girls and women, or be dated by genuine Catholic men, you have come to the right place"
5 A word of caution! 6 Are you nervous about joining? If you want to meet and date genuine Catholic girls and women, or be dated by genuine Catholic men, you have come to the right place. 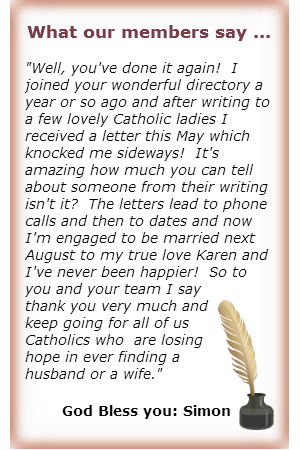 Whether you are seeking to marry, looking for romance and that someone special, or merely want to enlarge your circle of Catholic friends, the Catholic Unattached Directory is safe, and guarantees to catapult your chances of success to new heights. You can join the Catholic Unattached Directory completely FREE for two months. The Directory has been cleverly designed so that you don't need to part with a cent of your hard earned money until you are absolutely confident it will work for you; two months gives you plenty of time to look around and decide one way or the other. God is the author of marriage and a good marriage between a man and a women is the bedrock of a healthy society, and crucially provide by far the best enviroment for children to grow and flourish. Good sacramental Catholic marriages are the gold standard, and can bring a lifetime of happiness and grace. 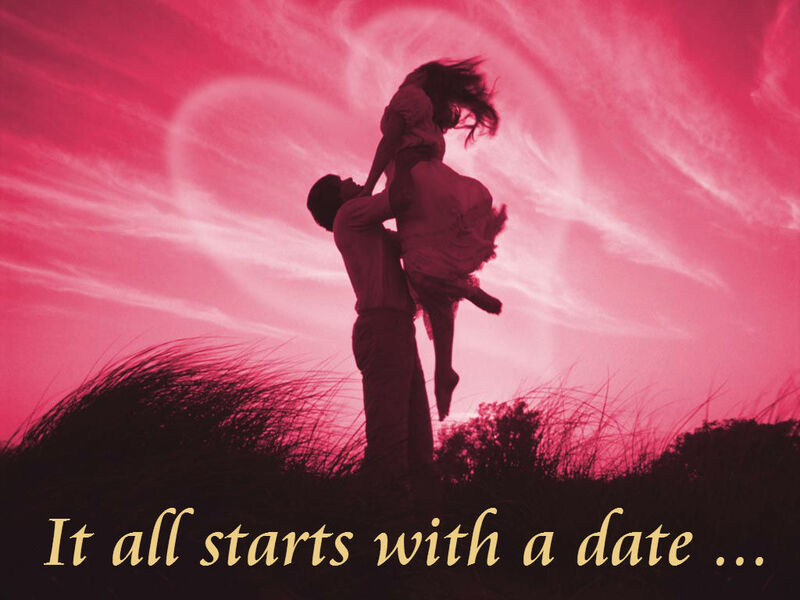 We at the Catholic Unattached Directory are committed 24/7 to forming good Catholic marriages. However, the fees we charge do not fully cover our outgoings and without donations we could not be able to continue this apostolate. Note: as a thank-you for donating, you will be given the right to download our ebook on love and marriage FREE. Once you have uploaded your own profile (and, optionally, a photograph) and this has been approved, you can contact other members by merely clicking a button adjacent to their profile; this will take you to that member's secure message vault, where you can leave a message. Similarly, other members contact you by leaving a message in your own secure inbox. After two months, if you wish to continue, you will have to make a small monthly contribution to the cost of the site. We guarantee that you will be pleasantly surprised just how inexpensive this is. We charge, for as many introductions as we can find, less than one sixth of what some of our commercial rivals charge for just one introduction! And, bear in mind that the number of contacts we can offer you will sometimes amount to several hundred - this makes us at least a thousand times more competitively priced than some of our commercial rivals! FREE BONUS: you don't even need to become a subscription member to claim your FREE e-book on love and marriage. As soon as you have registered for FREE membership you are entitled to download as many copies of this classic as you wish. This little gem was written by the late Dietrich von Hildebrand, a Catholic philosopher described by Pope Pius XII as a 20th century doctor of the Church. Note: Whilst the majority of our members are marriage minded, not everyone who joins the Directory is seeking marriage; some are looking for companionship or merely to increase their circle of Catholic friends.